Have a look at the new addition to the magazine selection in the library. Double Helix is a science magazine published by CSIRO for a youth audience. It takes over from the Scientriffic and Helix magazines which are no longer published. Double Helix contains fascinating and fun science material designed to foster an interest in science, maths, technology and engineering. 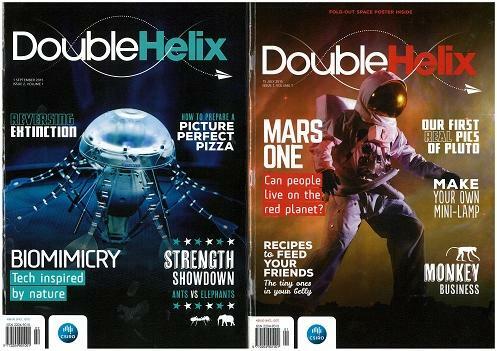 You might also want to have a look at the Double Helix webpage - see Magazine Links on the side panel of this blog.